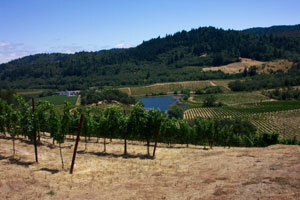 Dry Creek Valley lies directly west of and parallel to the Alexander Valley. The valley is flanked by forested mountains. 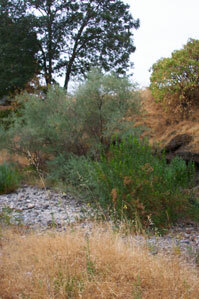 Dry Creek defines the valley and was once a seasonal creek with little flow in the summer. In 1986 the Warm Springs Dam was constructed on Dry Creek, creating Lake Sonoma, one of the largest reservoirs in the state at 381,000 acre-feet of storage. Lake Sonoma provides only urban water supply and releases flow year-round, changing the ecology of Dry Creek. Like Lake Mendocino, Lake Sonoma impounds both water and bedload (cobble and gravel) and, combined with industrial gravel mining carried out in the 1970s, has caused Dry Creek to entrench, or downcut, into its floodplain. 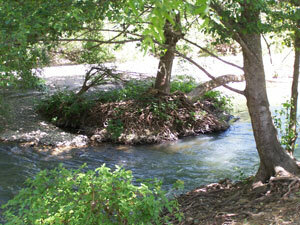 Many of the tributaries to Dry Creek are significantly entrenched with actively eroding stream banks and riparian corridors. 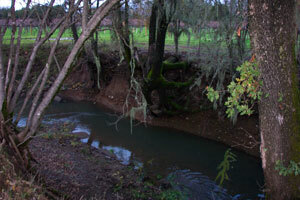 Tributaries to Dry Creek include: Wine, Dutcher, Peña, Grape, Fall, Schoolhouse, and Crane Creeks. Several of these tributaries support small populations of endangered Coho salmon. 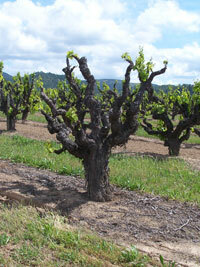 Dry Creek Valley has been a grapegrowing area since the 1800s. This 8-acre vineyard is managed by owner Duff Bevill with cover crops to protect soil and water quality in nearby Dry Creek. Ferrari-Carano’s 50-acre Estate Vineyard, certified in 2005, borders both Dry Creek and Dutcher Creek where revegetation projects are ongoing. The Beckman and Keegan ranches, totaling over 100 acres, were certified in 2008 and are managed to protect soil using cover crops. An invasive plant eradication program is underway to remove Himalayan blackberry, blue periwinkle, and Arundo donax from Dry Creek and re-plant with native plant species to increase wildlife habitat. This 90-acre site borders Wine Creek and is implementing a riparian revegetation and invasive non-native plant control project on Wine Creek. Herbert’s Ranch, 20 acres, borders Dry Creek and has completed an invasive plant removal and riparian revegetation project as part of the farm plan. 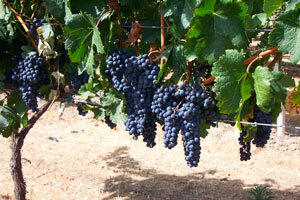 Lentz Ranch is a 40-acre hillside vineyard managed for soil conservation and water quality improvements.